Tis' the season for football, sweaters, boots, apples, and pumpkin spice!! Fall has always been my favorite season - I love the change in weather, enjoying the many holidays/festivities (minus haunted houses), and also the flavors and smells associated with this time of year. With pumpkin spice being the star of Fall, most brands and food products are now selling a pumpkin spiced flavored version of something (cereals, oreos, other cookies/treats, crackers, lattes, etc..). 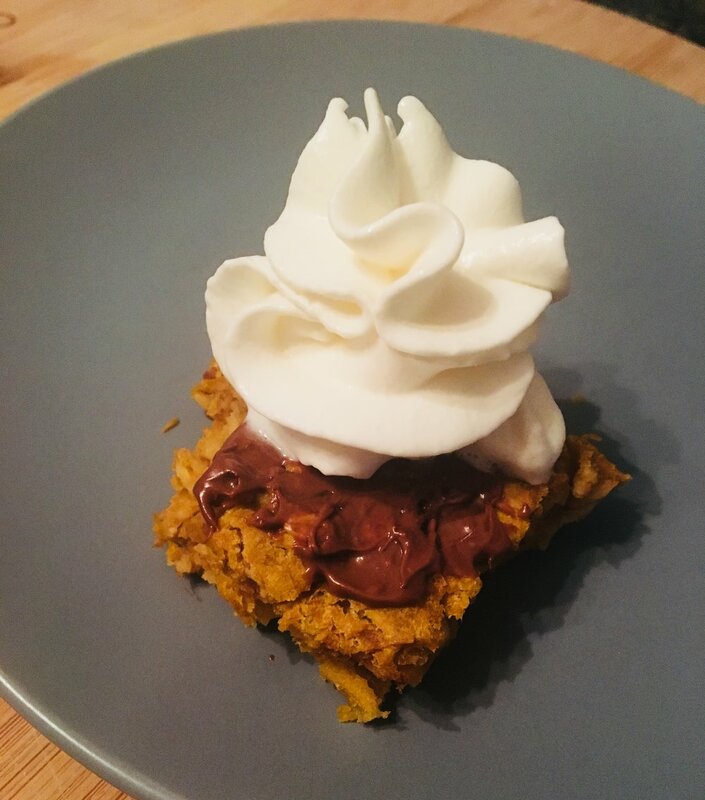 I wanted to share some recipes and ideas for incorporating pumpkin spice into home-made treats and whole foods. Toasted cinnamon raisin Ezekiel bread with cream cheese. Then add the PS while toast is hot - makes me feel like I'm eating a pumpkin cinnamon roll! Tea and coffee - love adding a drop of vanilla, a couple tablespoons of vanilla almond milk + some PS. Vanilla Greek yogurt or plain yogurt with a tsp or 2 of honey or pumpkin butter + PS. Whole grain waffle + a tablespoon vanilla yogurt or cream cheese or nut butter with PS. Whole grain or puffed rice cereal and milk. 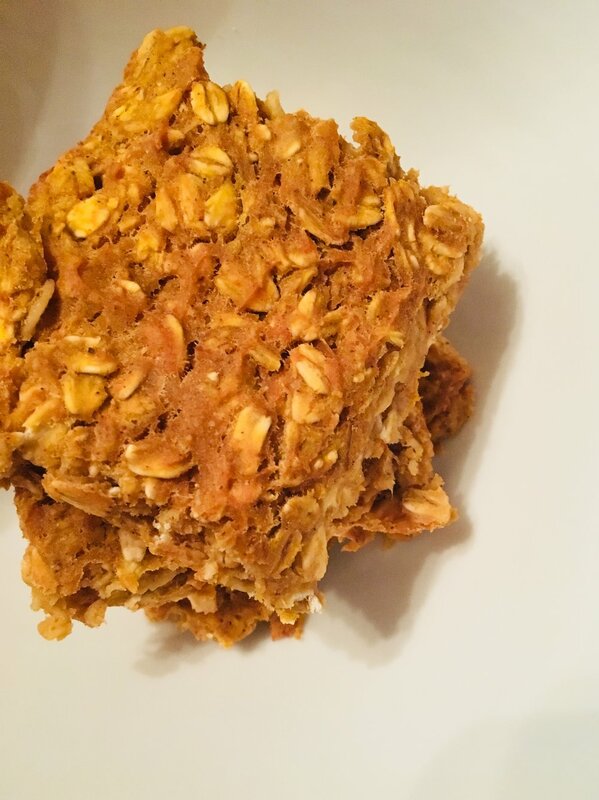 Oatmeal and over night oats - I am new to making over night oats but LOVE them! So convenient to have during the week for a quick breakfast or snack. For 2 servings - place 1 cup oats into a mason jar along with 1 cup unsweetened or vanilla almond milk + pumpkin spice. You can add a tsp of honey or maple syrup as well for some added sweetness! Popcorn - spray or melt a tsp of olive oil, coconut oil, or butter onto 3 cups + pumpkin spice and toss together. Unsweetened apple sauce - simply add the PS and you have pumpkin spiced apple sauce! Soup - with some pumpkin puree, low sodium chicken broth, some sauteed shallot and minced garlic, you can throw together a quick pumpkin spice soup! Baked treats! I was born with a sweet tooth and need to allow myself dessert every day in order to be happy and to prevent binge eating. 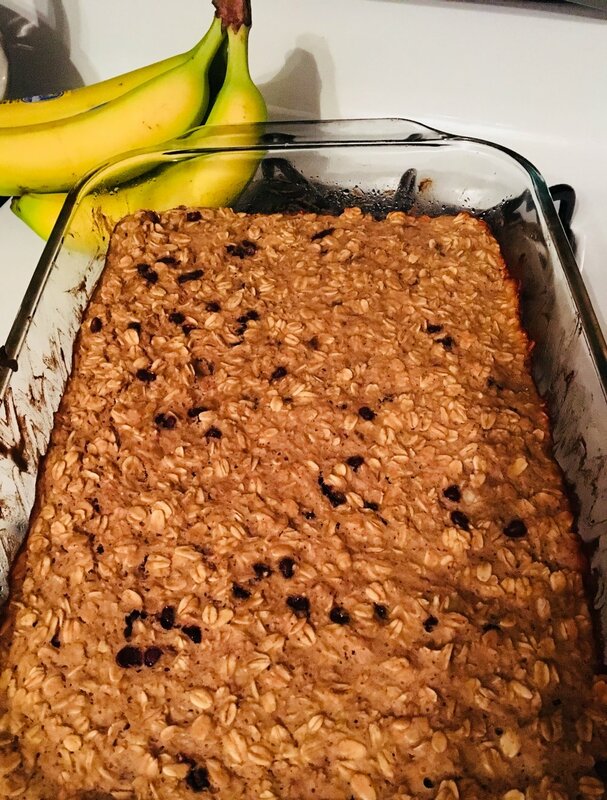 One way I manage my sweet tooth is by baking healthier baked goods to keep in on hand and ready to enjoy during the week. I end up satisfying my sweet tooth while not over indulging and at the same time end up eating something healthy! 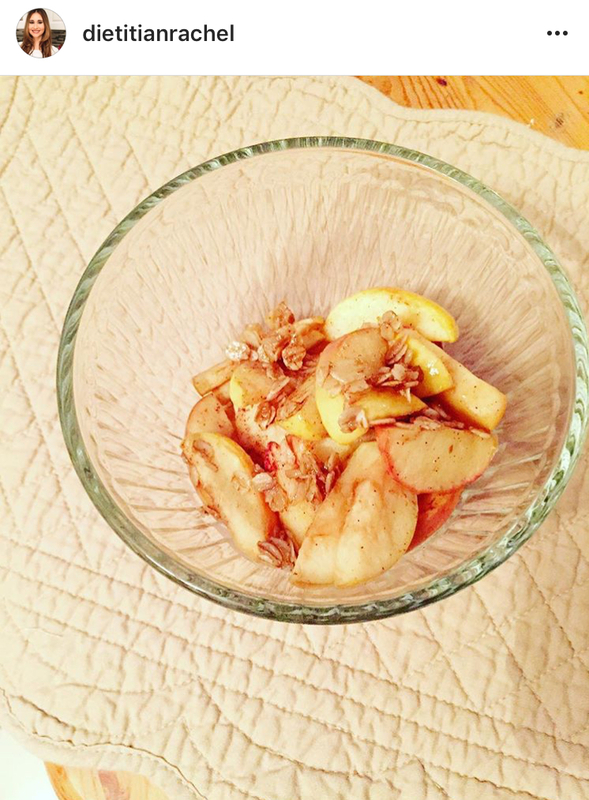 Below are a few recipes for healthy, tasty Fall treats! 1. Pre-heat oven to 350 degrees. Spray a 11 X 7 pan with coconut or other oil so bars won't stick. If doubling recipe use a 13 X 8-9 pan. 2. Mash banana in a large bowl. Add in maple syrup, whisked eggs, vanilla extract, pumpkin spice, salt, and baking powder. 3. Mix together. Then add in oats, protein powder, and ¼ cup water. 4. Coat an oven safe baking dish with cooking spray or use a light coating of oil/butter. Pour mixture into dish and spread out evenly. 5. Bake at 350 for 20-25 minutes. Edges should be slightly golden when finished. Store these in the fridge. 3. Mix together. Then add in oats, protein powder, and ¼ cup almond milk. 5. Bake at 350 for 23 minutes in a 9X 6 inch pan. Edges should be slightly golden when finished. Store these in the fridge. 1. Preheat oven to 350 degrees. Lightly spray a muffin pan with cooking spray or use cup cake liners. 2. Combine all ingredients together in a food processor and mix well until combined. If you do not use a food processor just mix really well. Pour into muffin tins or linersand bake for 15 minutes. 3. Recipe makes 12 muffins with 2 being the serving size. Store these in the fridge. Add all ingredients to a bowl and mix together so that the apples are well coated. Pour into baking dish and bake for 25 minutes. Cheers to Health and a Happy Fall!